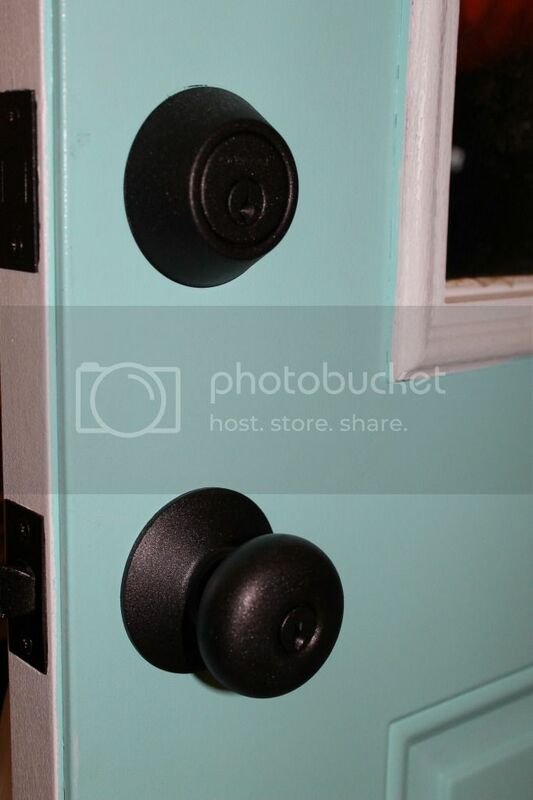 I painted both front doors last summer. Yes, I went bold. I think the curb appeal tells others that we don't take ourselves too seriously. 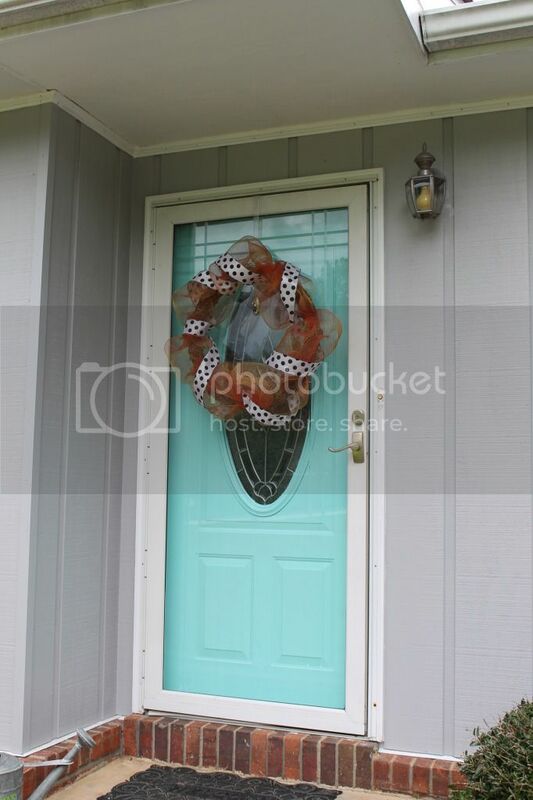 Who doesn't love a bright blue door? It reminds me of a sprinkle in a Zaxby's birthday cake milkshake (fingers crossed they have those again this summer). I also painted the back of the carport door white (it was already white, but it didn't clean very well). The coat of white paint makes wiping dirt and grime (puppy nose prints) easy peasy. Next up was to paint the back of the front door. It was still a dark almost navy blue. 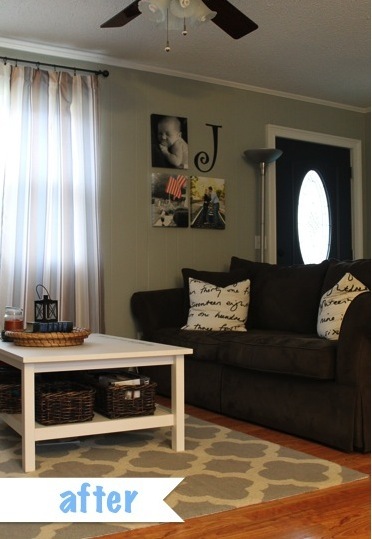 Here's the best picture I could find- ignore the "after" on the picture. (just a warning- it's REALLY hard to take pictures of this door since it lets in so much light. All my pictures turn out super dark. Or my camera forces me to use the flash which is what I did in the last few pictures). The blue door never really bothered me. But I figured white would only make this corner feel bigger. So armed with a 2 inch angled brush, a foam roller and some interior semi-gloss white paint (Moonrise by Behr) I went to town. and 5-6 coats later we had this! Ta-da! It took me about six 15 minute increments to complete. I used the brush first to get in all the places my roller wouldn't go, then I rolled, then let it dry and I went back to repeat the process again. I did have to take the door off it's hinges to get into the corner. It's funny how your eyes take a while to adjust to something new. Every time I walk by I notice how much larger the corner feels! Yet the blue never bothered me... it's just better now!